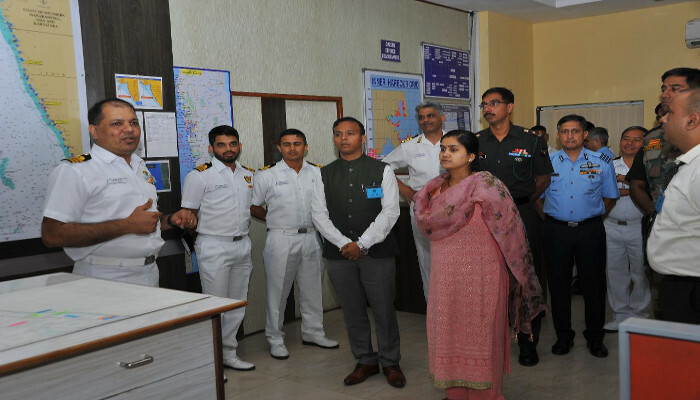 A Mid-Career Interaction Programme (MCIP), 2018 was conducted by the Western Naval Command at the Maritime Warfare Center, Mumbai from 30 October to 01 November 2018. The theme for this year’s MCIP was ‘Need for a Unified Maritime Approach to National Opportunities and Challenges’. The programme comprised officers from the Army, Navy, Air Force, as well as those from the Administrative, Police and Forest Services. 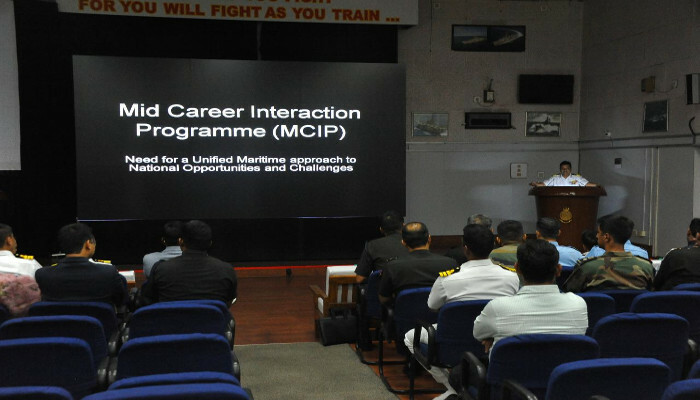 The MCIP, aimed at fostering better understanding of professional domains between the armed forces and civil services, included presentations and talks on geopolitical issues, the maritime domain, importance of the Indian Ocean Region, Energy Security, Coastal Security, Operational Philosophy of the Indian Navy, Indigenous Warship Production and Shipbuilding prospects among others. 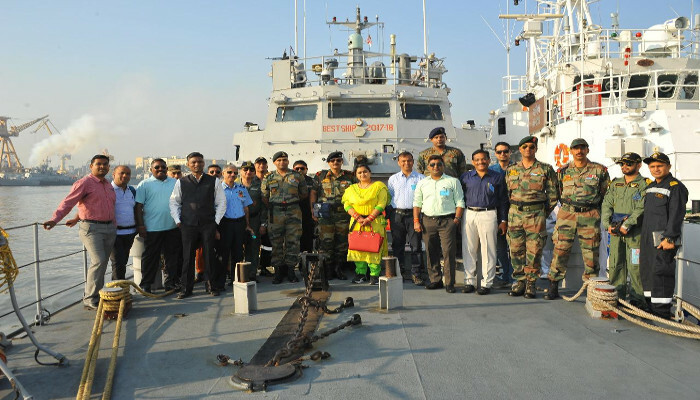 The participants were also taken for a sea sortie onboard INS Tarasa, a waterjet Fast Attack Craft followed by visits to Ships, Submarines and Naval Dockyard for familiarisation. 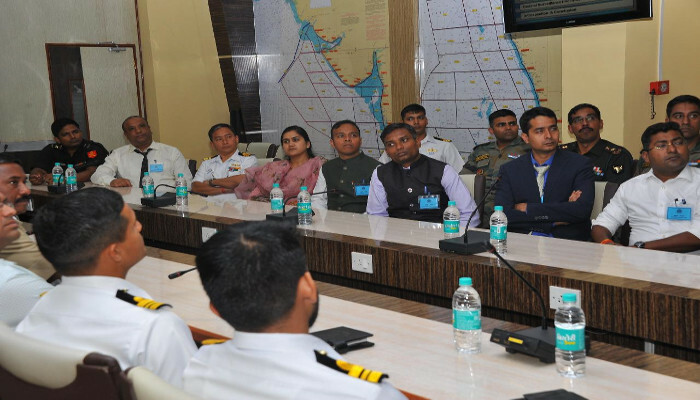 MCIP is an outcome of the recommendations of the Kargil Review Committee which has brought out the need for greater interaction and understanding between the Armed Forces and the Civil Services.